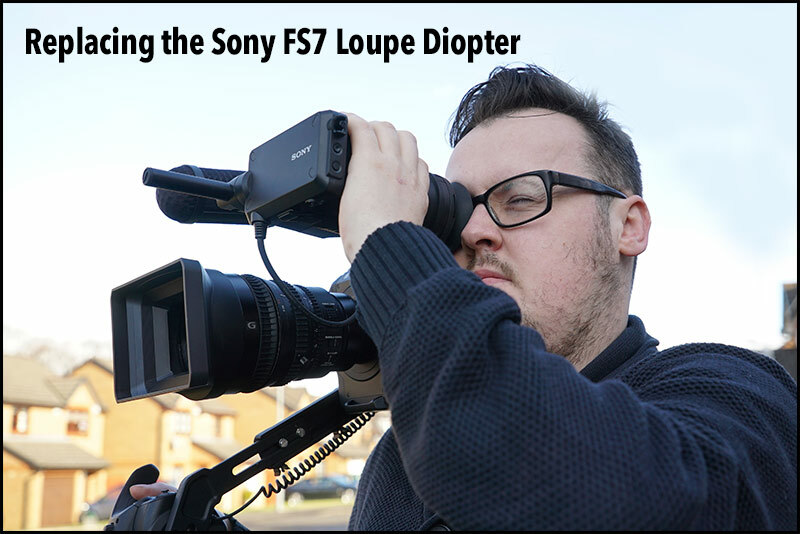 During BVE I met a chap who also had a Sony FS7 and told me how he had changed the diopter in the loupe. Although not marked the original diopter is a 1:1 magnification which is as minimal as you can get. This is why older eyes like mine are finding it hard to see focus and the beauty of this re-engenering is its simplicity. All you need to do is buy a 52mm +3 Hoya close up lens and unscrew the original, replacing it with the far better optics of the HOYA close up lens…job done. Now its so much easier to see focus all for the cost of about £20. With the Hoya +3 52mm filter on the viewfinder… Are you still able to see the corners of the frame? Would for example +2 be better? Thanks for this tip Philip. I tried changing the filter as you suggested to a +3 close up filter (a cheapy purchased on Ebay) and it worked a treat. I now have a much sharper image to focus on and I can see all the corners of the frame.